Sigur R?s are an icelandic post-rock band. The name is derived from the name of lead vocalist J?nsi Birgisson's little sister, Sigurr?s. They hail from the same creative and vibrant Icelandic music scene as m&uacute;m and Amiina. They released their first ever foray into film-making with their tour documentary, Heima in late 2007. J?n ? ?r Birgisson (J&oacute;nsi), Georg H?lm, and ?g?st ?var Gunnarsson formed the group in Reykjav?k, Iceland in August 1994.
International acclaim came with 1999's &Aacute;g&aelig;tis byrjun ("An alright start"), for which the band were joined by Kjartan Sveinsson. The album's reputation slowly spread by word of mouth over the next two years. Soon, many critics worldwide hailed it as one of the best albums of its time and the band was playing with Radiohead and other big names. Drummer ?g?st left the band after the recording of ?g?tis Byrjun and was replaced by Orri P?ll D?rason. After the release of ?g?tis Byrjun, the band became perhaps most well known for Birgisson's signature style of playing guitar with the bow from a cello, accentuated with reverb, creating a sweeping, fluid sound that is unique for an electric guitar. In early 2001, Sigur R?s set out to record some songs in their newly-completed ?lafoss swimming pool studio with their friend Steind?r Andersen who is a fisherman and chairman of the Icelandic poetry society, I?unn. Steind?r is a chanter/singer of the traditional Icelandic epic poetry form, called "r?mur," for which the band named their next EP, R&iacute;mur. Only 1000 copies of the EP were printed and sold in the spring tour of 2001. In October of 2003, Sigur R?s joined Radiohead in composing music for Merce Cunningham's dance piece Split Sides; Sigur R?s's three tracks were named "Ba Ba," "Ti Ki," and "Di Do" and released in March of 2004 on an EP titled Ba Ba Ti Ki Di Do The three songs are separate tracks, but the band intended that all three be played at the same time to form one single song. The band's 1997 debut album Von also finally found a United States and United Kingdom release in October of 2004. Their latest full-length album, Takk... (Thanks...), was released on September 13, 2005, with a free legal download of their first single, "Gl&oacute;s&oacute;li," made available on August 15. For North American fans, "S&aelig;gl&oacute;pur" was made available for download on August 16. "Hopp&iacute;polla," the second official single from Takk..., was released on November 28 alongside a new studio remake of "Hafs&oacute;l," a song which was previously released on the band's 1997 debut, Von. S&aelig;gl&oacute;pur EP was released on July 10th in most parts of the world and on August 8th in the United States. Its original release date was May 8th, but because of the sudden demand of "Hopp?polla," especially in the UK due to its inclusion on BBC's "Planet Earth," it was pushed back from that date. Sigur R?s recorded three new songs for the EP: "Refur," "&Oacute;fri&eth;ur," and "Kafari." Sigur R?s has sold over 2.5 million albums worldwide. On June 23, 2008, they released Me&eth; su&eth; &iacute; eyrum vi&eth; spilum endalaust. 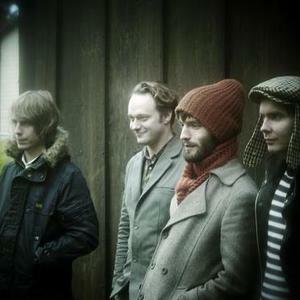 The Valtari Songfacts states that Sigur R?s'' sixth studio album, Valtari, was released on May 29, 2012 on Parlophone.